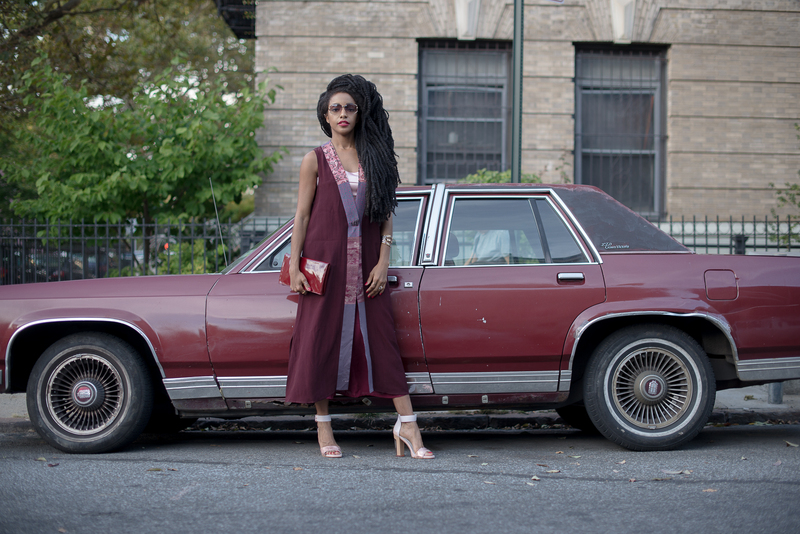 Think you know what NYC cool looks like? Think again. 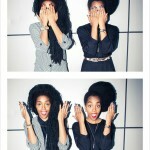 Meet the Quann sisters: TK Wonder, a singer, and Cipriana, a blogger and co-founder of website Urban Bush Babes. 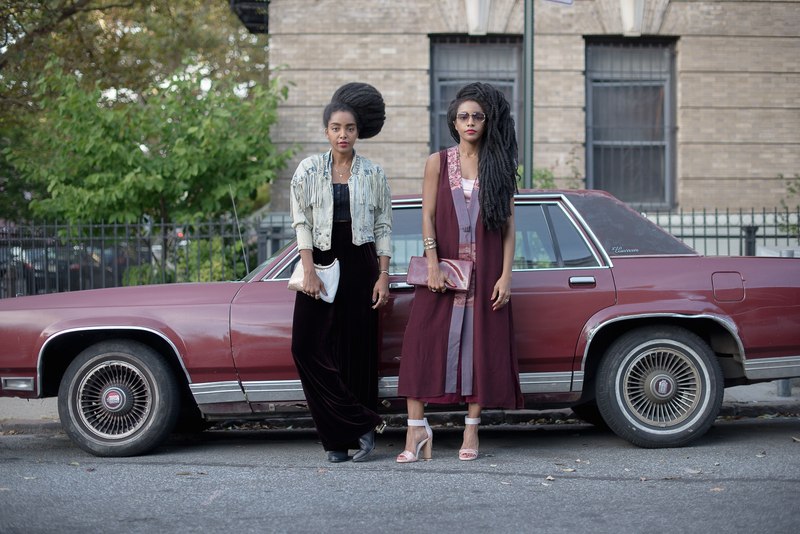 Take a peek into the stylish lives of the Brooklyn-based, Baltimore-raised identical twin babe-sisters. Why? 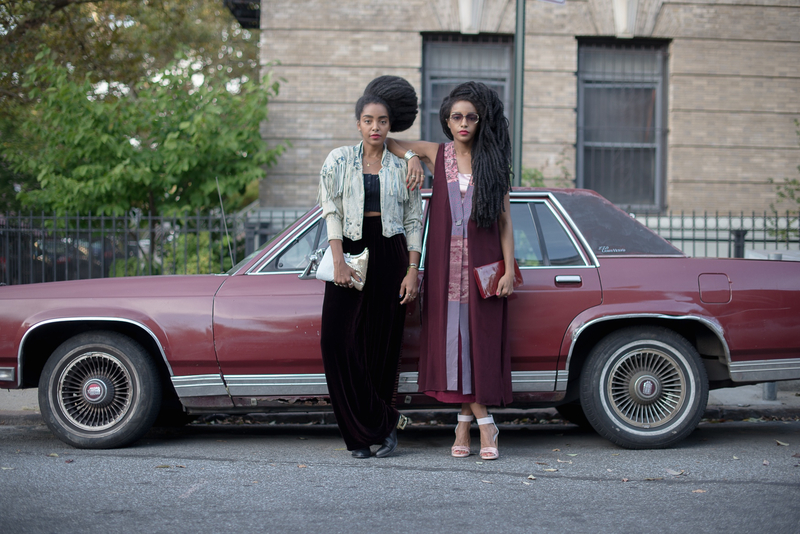 They have the kind of wardrobes we can only fantasize about, they’ve become lionized for their vintage style (think 40s-style Kimonos meets Saturday Night Fever platforms), they have Lisa Bonet levels of beauty and 2 die 4 braids. 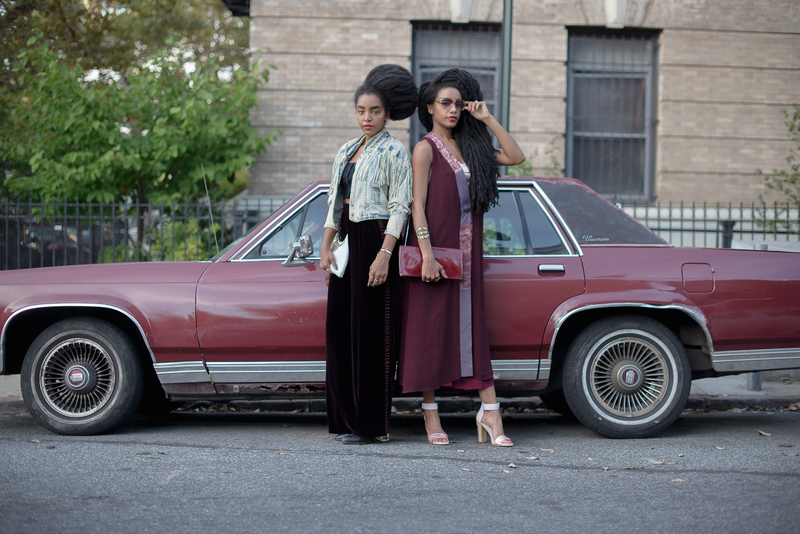 We sat down with the twins and chatted vintage shopping, cocktail sipping and Flash Dance. AS IDENTICAL TWINS, DO YOU ENCOUNTER PROBLEMS WHEN IT COMES TO DRESSING? Cipriana: There’s only one thing: shopping together. Our styles are individually unique but we love the same things – we take the same skirt but rock it in a completely different way. TK: My style is extremely eclectic. You are speaking to a former sneaker addict and albeit the love has not vanished but my collection has downsized drastically. My obsession with wool maxi coats comes from that scene in Flashdance where Jennifer Beals’ character wore a wool maxi coat as she watched breakdancers performing in the street. 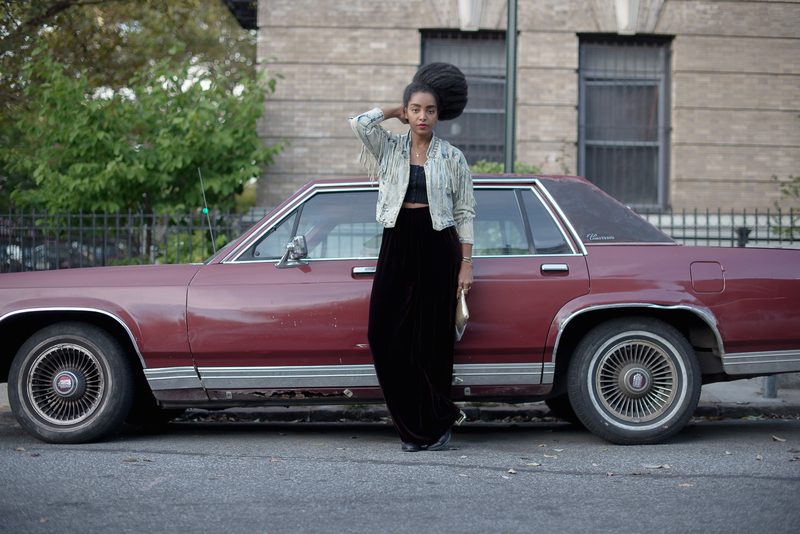 Cipriana: Our joint style icons are our mum, Diane Keaton, Lisa Bonet and Diana Ross. WHAT DO YOU LOVE TO DO IN BROOKLYN? 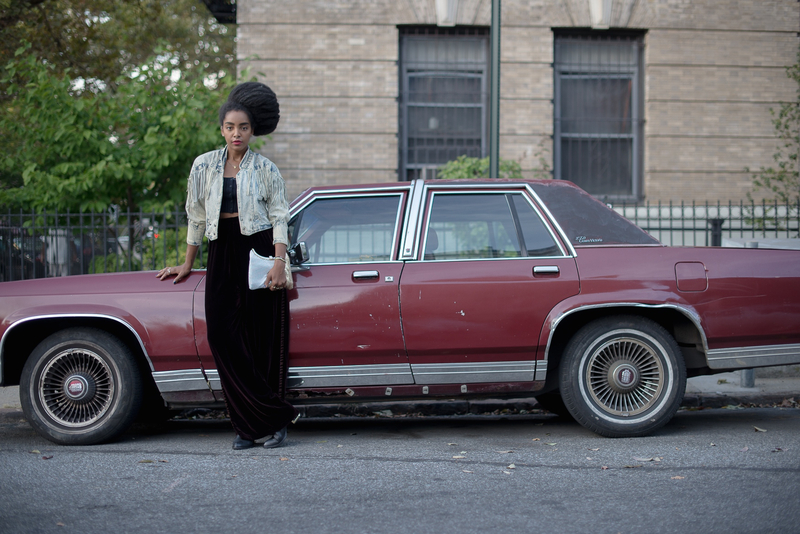 Cipriana: The Mobile Vintage Shop in Brooklyn is amazing. It’s true vintage and everything is $10. I’m more into backyard parties or sweating it out to indie artists at gigs than clubbing. TK: I love shopping at Beacon’s Closet, Urban Outfitters and & Other Stories. MY Mom is old school and she said this pic reminds her of foxy brown………super cool!! Haha, thank-you Lucy! I have my runway walk ready! Lol. Dope! 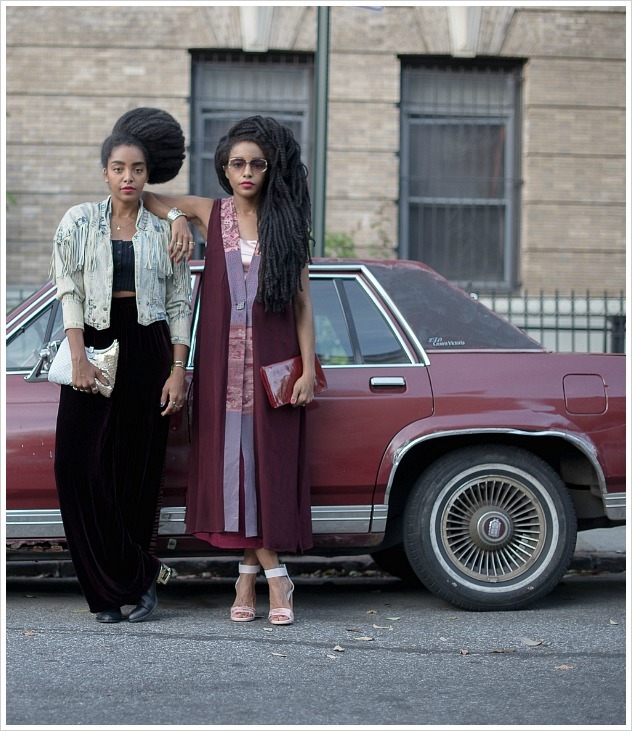 I say the two of you represent young ladies very well…just love your style so much! @Dallas-NYC56, good to hear! Thank you so much!!! I love you guys and love Asos! What a great match! Thank-you Jessica, we so appreciate the love! Wow! You guys are the coolest in the fashion industry. Asos is one of my favorite sites and glad to see they recognized my favorite fashionistas! Thank-you so much Lilly! 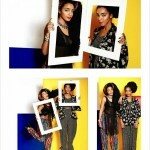 I love me some Asos so we were very flattered indeed. Very nice! The caddy is a perfect prop. What movie is this gonna be….lol! @Alexa&Sam, LOL, you all would definitely be the first to know. Thank you! I love you and TK’s style, it is the true form of dressing to fit your personality. Your style choice has definitely kept me from thinking twice before I put something on. And every time I ended up looking amazing. Congrats on the ASOS feature! I’m new to Asos, thanks to you! Love the site. Lol, Daniela that place is trouble! So much goodness in one spot I can barely contain myself haha. Thank-you, we have a few things we’re excited to reveal soon! So beautiful. I ca’t get enough of my favorite fashionistas!!! You are sweet, thank-you Donna! Of course they are cool duh. Glad ASOS is catching up to what we already knew. Hahaha thank-you for confirming Yes it was an honor.